Cure those year-end blues with some shiny new activities! I know I am, because it's time for the Teacher's (and SLP's too!) Appreciation Sale over at TPT. Last call this year to save up to 28% off when I use the coupon Code: ThankYou. I can't pass that up. 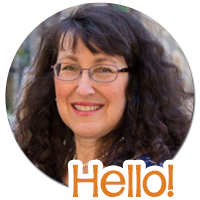 I am linking up with Jenna Rayburn of Speech Room News for the last What's in Your Cart linky of the year. 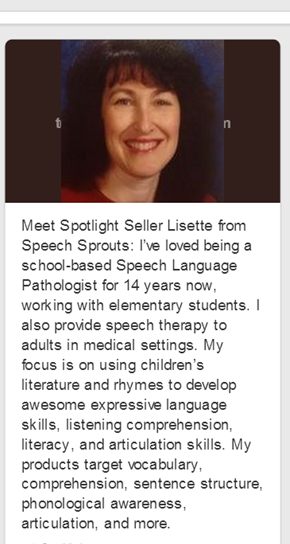 It's a great first stop to see links to SLP resources all in one place. My kids will love peeking through the "windows" of The Animal Book Bundle from Christy Jones. I am blessed with lots of littles. Super cute. The Speech Summit has Preposition Language Rings. My kids will love using the round cards, and we always need plenty of practice with prepositions. Tracey over at GoldCountrySLP has made a packet of Mystery Pictures for Speech and Language-Summer. Tons of fun coloring the squares and trying to guess what it as the kids practice their articulation. Got to get something for my older kids, this will keep their attention. Of course there is plenty goodness for you over at Speech Sprouts too! Check out my latest resource: Synonym Bugs. Plenty of activities in the packet to take you all the way to the finish-line. Use your hole-puncher to keep score in the "Synonym Crunch" Game by punching holes in the leaves after you spin. Find the matches to create bugs in the "Synonym Bugs Game". Be sure to find the leaves hidden underneath to feed your bugs and collect points. Make a cootie catcher and name synonyms with your friend. Grab your dot marker and color the matching ladybugs in "Spot-On" synonyms. Cut out bugs and fill a bug jar, or get out your flyswatters for the "Synonym Swat Game. "Your kids will go buggy over this one! 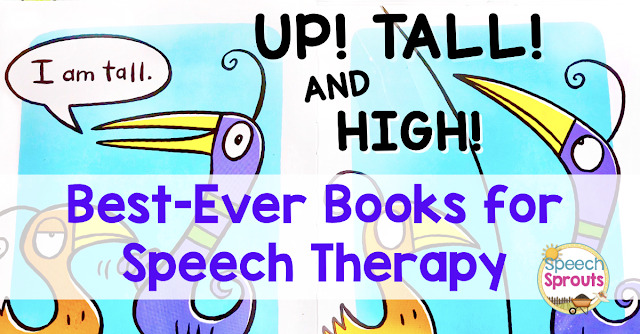 Stop by and check out this bundle, Speech Therapy Oceans of Fun. It includes a great book companion for Smiley Shark by Ruth Galloway, and an interactive reader to target Who? questions. 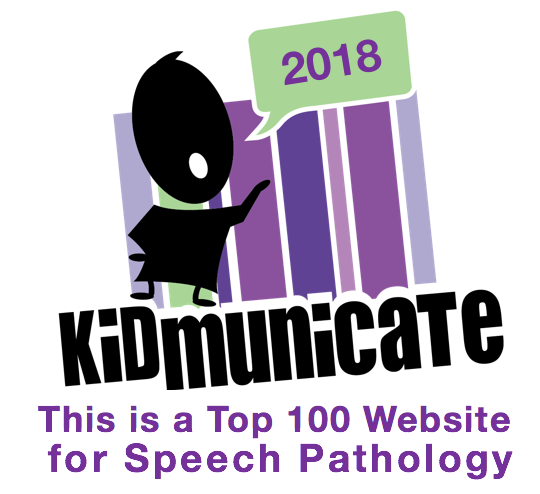 A huge variety of fun in the ocean speech and language activities, you may be able to cover your entire caseload with this one. 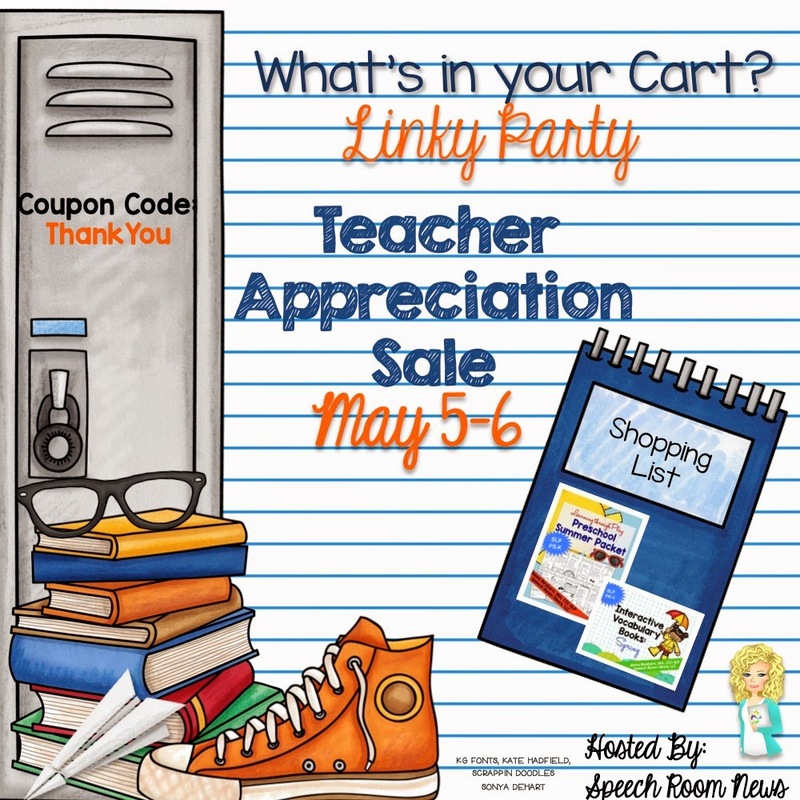 Happy May everyone, and don't forget to head over to the What's in Your Cart Linky at Speech Room News. Fun products! Happy Teacher Appreciation. Thanks SLP Runner! It;s a fun week, isn't it? I was appreciated with chocolate kisses this week, yum! Anybody else get a nice surprise? Social Language Skills- Is It Our Job? Speech Therapy Can Be a Picnic. SLP Grad Great Gifts for a "Starter Kit"